The punchline is, “I call him Tiny because he’s my newt (minute)!” but he’s not really my newt. The late Dr. Allen Foley, Professor Emeritus of History at Dartmouth College, related a story in his book, “What the Old-Timer Said”, about a local boy who came across a boy from the city who was tormenting a toad. “Put that toad down,” he said. 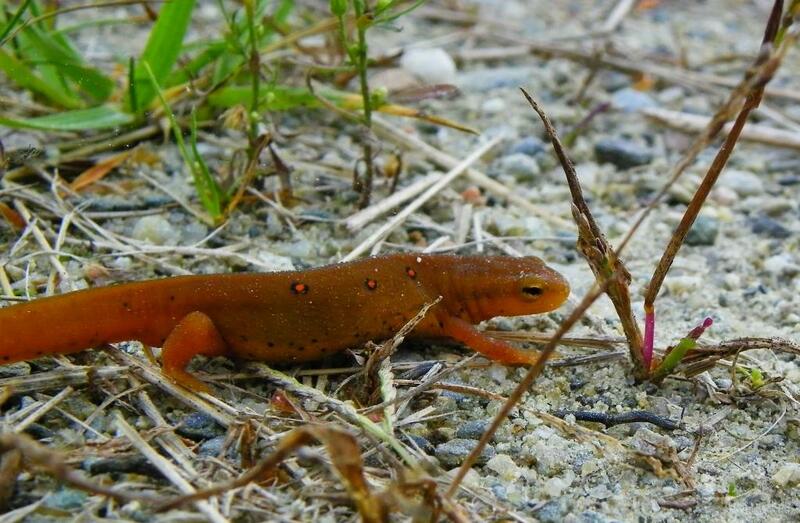 Of course he’s not your newt–his name is Red Eft! Though, with the passage of time he’ll maybe be Red Green for a while before he’s known as Newt. Shades of “Foley’s Follies” an annual winter-time event at Dartmouth. When I was a student, these were an event not to miss!